Cyber Monday is rapidly becoming one of the biggest online shopping days of the year and everybody likes a bargain. 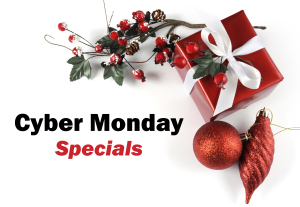 Cyber Monday provides the perfect shopping solution – unbelievable deals without the crowds. Here at gluegunsdirect.com we are offering a fantastic deal with the Buy 2 boxes, get 1 box free offer across selected grades of Tecbond 12mm, 15mm and 43mm hot melt and low melt adhesives. But we’re more than just Cyber Monday – we’re Cyber December. This incredible offer will run until 12noon on Tuesday 23rd December! An early Christmas present from gluegunsdirect.com. Stuck for a Christmas present this year? 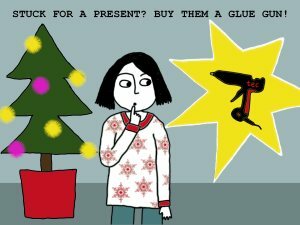 Buy your friends, relatives or even that special person in your life a glue gun and trigger their imagination. Watch our Christmas Video, a how to guide for making those extra special Christmas cards, decorations and gifts. What can we glue for you?